Washington Square Press, 9781416550556, 560pp. From the #1 internationally bestselling author of The House at Riverton, a novel that takes the reader on an unforgettable journey through generations and across continents as two women try to uncover their family’s secret past. A tiny girl is abandoned on a ship headed for Australia in 1913. She arrives completely alone with nothing but a small suitcase containing a few clothes and a single book—a beautiful volume of fairy tales. She is taken in by the dockmaster and his wife and raised as their own. On her twenty-fi rst birthday, they tell her the truth, and with her sense of self shattered and very little to go on, "Nell" sets out to trace her real identity. Her quest leads her to Blackhurst Manor on the Cornish coast and the secrets of the doomed Mountrachet family. But it is not until her granddaughter, Cassandra, takes up the search after Nell’s death that all the pieces of the puzzle are assembled. 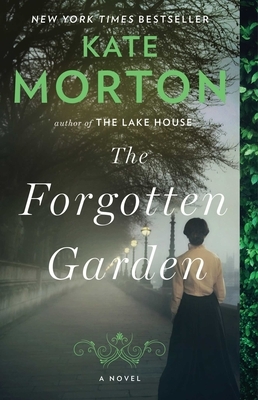 A spellbinding tale of mystery and self-discovery, The Forgotten Garden will take hold of your imagination and never let go.